In 1917, a group of students approached Roberto Firpo, on his tour to Montevideo, and showed him a march, composed by their friend, 17-years old Gerardo Matos Rodriguez. Firpo liked it, and so he extended Rodriguez theme with a counter melody from his own tango, added a quote from Giuseppe Verdi’s “Il Trovatore”, premiered the new tango before the ink dried out on the paper, and, thus La Cumparsita was born. Then Firpo sent the score to a publisher, under the single name of Rodriguez, and recorded it in the same year. 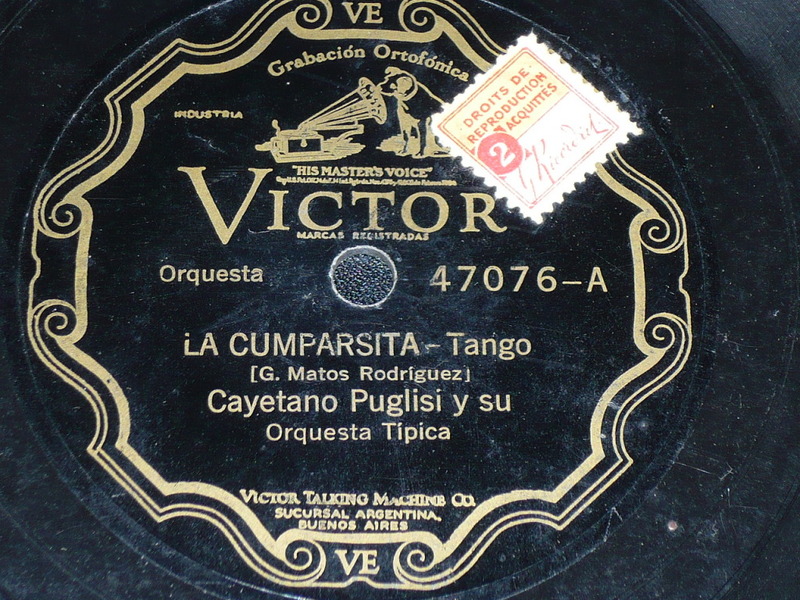 Since then, pretty much every tango orchestra had La Cumparsita in their repertoire. Juan D’Arienzo alone recorded “La Cumparsita” five times with his orchestra, and two more times with his earlier sexteto. The 1943 D’Arienzo recording sold 17 million copies.